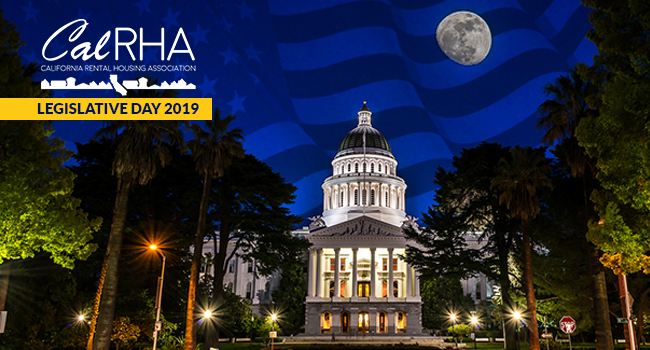 A delegation of members, comprised of the 10 affiliates which make up CalRHA, will be in Sacramento to meet with our State Legislators and educate them on what we believe will be reasonable legislation to consider for the coming year. CalRHA would like to personally invite you to join us. In case you are wondering if your presence will make a difference, CalRHA can assure you, IT WILL. If you come and would like to speak directly with an elected official regarding one of the bills CalRHA will be focusing on, we are planning to make as many of those opportunities available as we can. We look forward to your attendance! Have questions? Kindly email Tim Colbie (tcolbie@carlsontravel.net).